Powder process : Formula is based on the application requirements;After wet milling,mixing; crushing; drying,sifting and adding forming agent; then drying it again; Mixing after sieved; pelletizing, pressing and molding; Low pressure sintering and shaping (blanks ); flaw detection; cylindrical grinding grinding (blank without this process),testing ,packaging; storage. packaging and storage. 1,Raw materials is high-quality ultra-fine tungsten carbide and imported cobalt powder. 2, Use of the world’s advanced low-pressure sintering preparation technology for standardized production. 3, Tungsten round bar has high strength and high hardness. 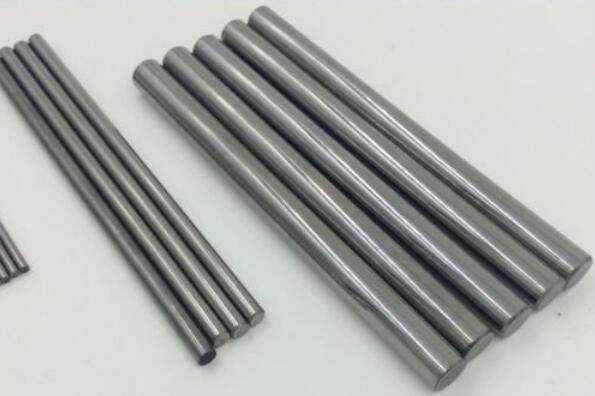 4, Tungsten bar has excellent hardness, good wear resistance, high elastic modulus, high bending strength, good chemical stability (acid, alkali, high temperature.oxidation), good impact toughness, low expansion coefficient, thermal conductivity, and conductive similar characteristics of iron and its alloys. 5, High-tech precision advanced equipment: SIMUWU vacuum furnace 10MPa low-pressure sintering furnace. 6, Unique new process: Vacuum high temperature and pressure sintering for the tungsten round bar. The product is pressure-sintered in the final stage, which greatly reduces the porosity, improves the compactness, and greatly improves the mechanical properties of the product.